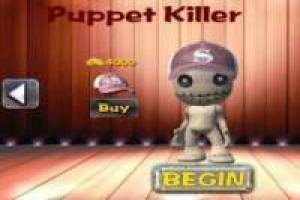 With Puppet Killer you can take out all the rage inside you by shooting at the rag doll without any kind of compassion. You will start with knives that you will have to throw to the puppet to add money to your marker. With that money you can buy new weapons that, in turn, will help you get even more money. You can unlock a submachine gun, a rocket launcher and even a tank with which to shoot this character. 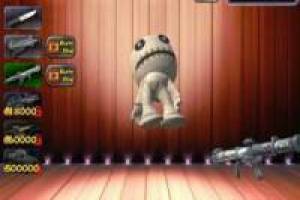 You can also buy clothes for the puppet so you can customize it to your liking. Do not worry about the rag doll, for more shots or knives you cast it will not suffer any damage. Get ready for the Puppet Killer adventure. 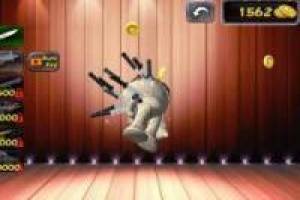 Enjoy the game Puppet Killer, it's free, it's one of our puppets games we've selected.